Zoo guests have enjoyed millions of collectible plastic figures since the first Mold-A-Rama® machine first made its appearance at Brookfield Zoo in 1966. Currently throughout the year, the 13 machines located around park offer a variety of fun, collectible animal and seasonal figures, including a dolphin, giraffe, and polar bear. Each mold costs $2. 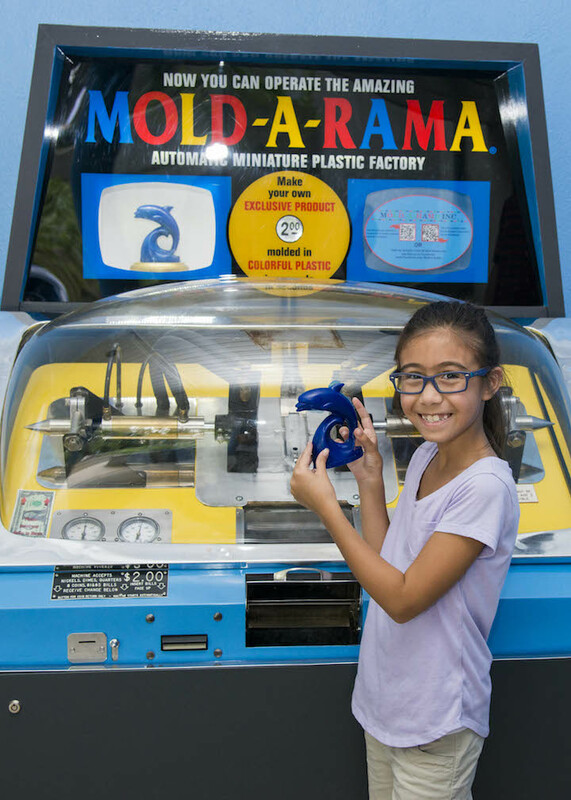 To also commemorate the anniversary, staff from Mold-A-Rama® Inc. will be at Brookfield Zoo’s Memory Lane Tent on Saturday, July 16, from 4:00 to 6:00 p.m. to meet guests and to answer any questions about the nostalgic machines. There is also a Mold-a-Rama® Hall of Fame display featuring figures from past years. In addition, for a limited time only, Mold-A-Rama® Inc. apparel is being sold in the Memory Lane Tent. Items include hats and t-shirts that are available in a variety of colors and sizes. The souvenir plastic figures were first invented by Tike Miller, who in the late 1950s sold the rights to his idea of a souvenir-making machine to Automatic Retailers of America Inc. He worked with ARA for several years in the development of such a vending machine. This resulted in a new division of ARA, and the term Mold-A-Rama® was sprung on the American consumer. Be the first to comment on "Calling All Mold-A-Rama Fans"